Start Point is a spectacular promontory in South Hams, south Devon on the most southerly headland in the county. 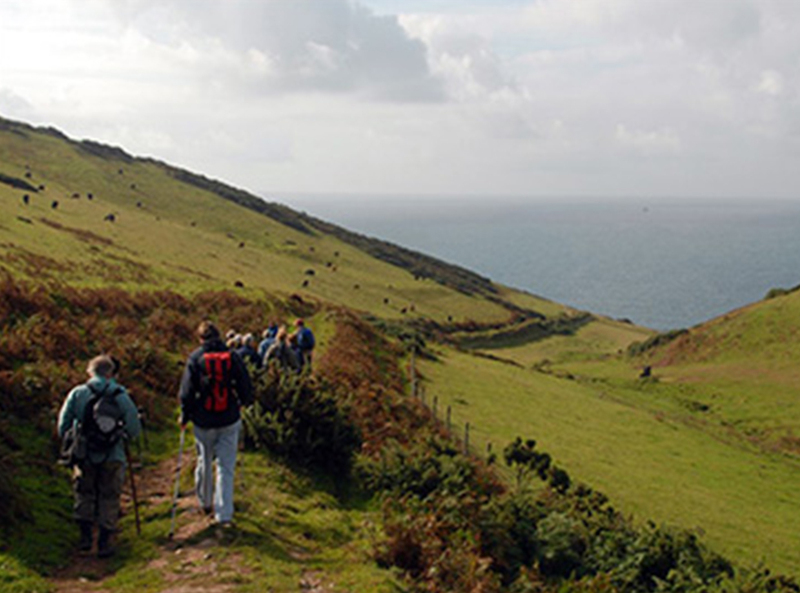 It marks the western side of Start Bay which extends eastwards to the River Dart estuary. The name “Start” derives from an Anglo-Saxon word steort, meaning a tail. This word also appears in the names of birds with distinctive tails, like the redstart. The rocks of this point are greenschist and mica-schist, formed by metamorphism of Devonian sediments during a period of mountain building towards the end of the Carboniferous period. The jagged ridge of this headland is mirrored by dangerous rocks lying under the water including Black Stone rock. These rocks, combined with the strong tidal race around the tip of the headland, make Start Point a very dangerous spot for shipping. Following countless shipping disasters and heavy loss of lives, the lighthouse flashed its warning for the first time in 1836. For 6.5kms off Start Point stretches The Skerries (from the Old North Sker meaning rocky reef). This is a bank made up of sand and shell running underwater from just off Start Point, in a north east direction. At low water the bank is only just over 2m below the surface and affects the way the waves run in the bay. The bank acts as a barrier to sediments and forces the energy of the waves into the southern part of the bay, towards south Slapton Sands, Beesands and Hallsands. It is well known as a good fishing spot and equally an additional hazard to shipping.